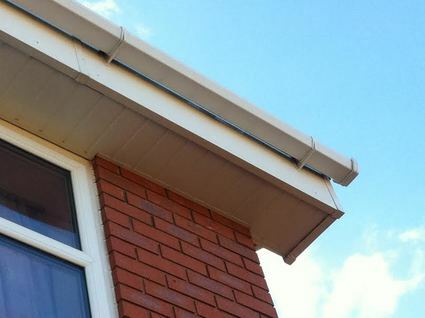 uPVC is one of the most popular property materials in the UK due to its durability and probably most of all its affordability. When newly fitted it looks great and even though it is sold as 'maintenance free', after a year or so the algae soiling starts to take its toll and that once nice and shiny uPVC is now covered in not very appealing green and black algae. With our expertise and know how we can soon reform your uPVC back to its once bright, shiny self. Let us bring your uPVC back to life, making them sparkling once again. As we all know a dirty exterior can really spoil the look of your home. Is your property covered in stubborn green algae and dirty stains? 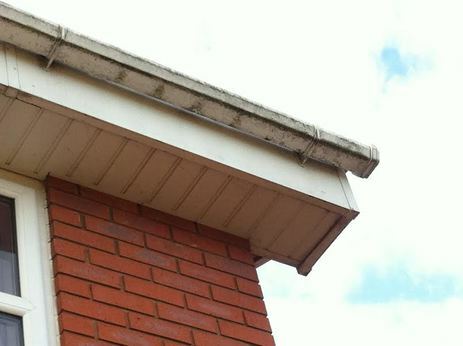 For prices starting from only £45 we will clean all of your uPVC Gutters Fascias and Soffits.